Even today, in the small towns in Italy you will not find a local newspaper. Maybe a page in the regional edition of the national newspaper but nothing that comes close to the kind of thing you find in England and America. In the large cities you may be lucky but it would have to be a significant event and most newspaper archives are not searchable. Luckily for Leigh Ann they were searchable in Rome and she was able to find the story of her ancestors who fell into a private elevator shaft. Unless a person was an important figure in the town or region you won’t even find an obituary. Even then it is more likely to be a story about his life than a formal announcement of his death. Since most interments take place within 24 hours of death there isn’t even time for newspaper announcements. 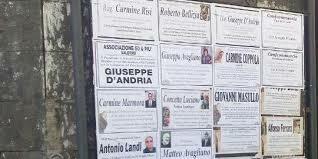 Locally printed posters are pasted on boards all over town with details of the funeral service. Local history books are a great resource but tracking them down often means a personal trip to the town. If you are hiring a local researcher be sure to ask them to check a local book store for you. Over the years I have gathered a large array of books, many of which are no longer in print and can rarely be found in internet bookstores. Why is this? Having a degree in history, archaeology or anything else doesn’t guarantee a job or career in the south of Italy (unless you ‘know’ someone!) As a result many of these historians choose to research and publish books about their town and its history. To fund this project a presentation is made to the Mayor or other organizations that have cultural funds to spend. This money is then used to publish a limited number of copies which are then distributed to local libraries, schools and historical organizations. Some are given away at the book presentation and any remaining are sometimes sent to a local book store where they are sold. Sometimes the local school will do a history project and their research results are then published. 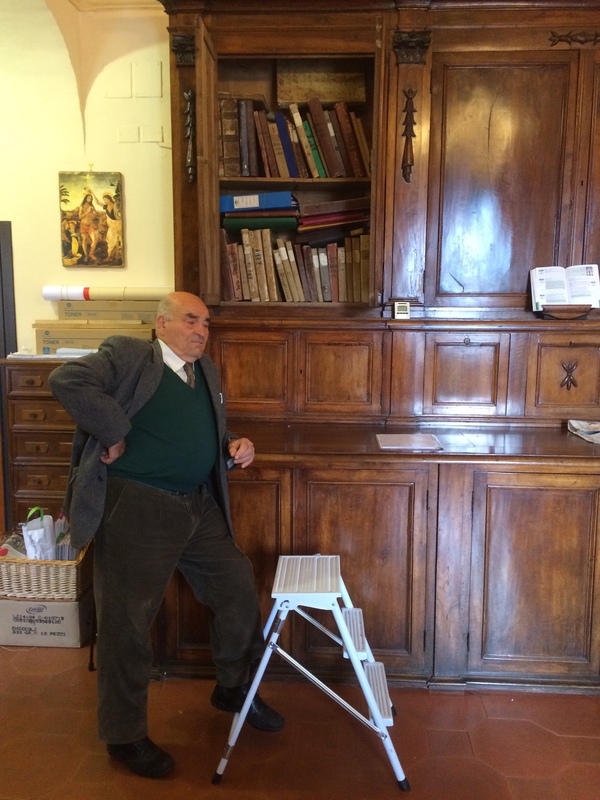 Occasionally a local historian, like Tommaso Bartolo of Ceccano will find a sponsor who will organize the publishing of his work. The contents can be amazing. 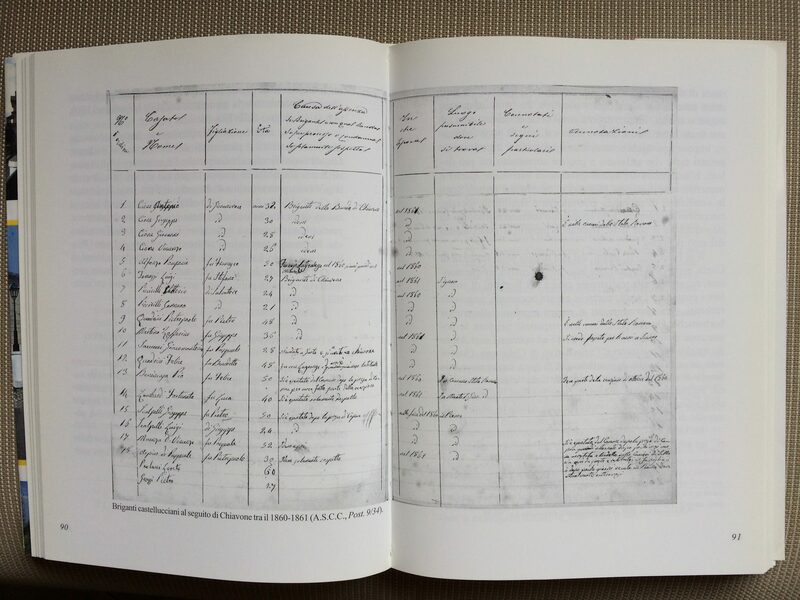 A complete transcription of the 1743 Catasto Onciaro of Canna, a review of the surnam es in Cercemaggiore, a current parish census from Castiglione!! A list of brigands in Castelliri. Old photos of the town, population demographics, history of the parish churches, local disasters, even an explanation of the local dialect. In one Parish history book I found the name of Brian’s ancestor whose head had been cut off and hung in the church after he proposed to the townspeople that they surrender to the French army. Even if we had located the death record it wouldn’t have given us those horrific details! In most cases you won’t find the name of your ‘contadino’ ancestor but you will get a sense of their lives. ← Voting in Italy is complicated at best.